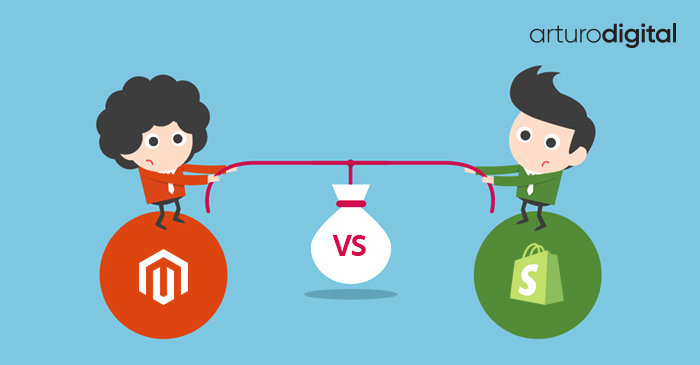 Shopify Vs Magento: Which is the Best E Commerce? The advent of technological advancements and digitization of services have made traditional means of selling products a primordial concern. Honestly, who wants to travel all the way down to Macy’s and make significant purchases when you can get all tangible/intangible goods delivered at your doorstep, right! All thanks to ecommerce platform you can now order your products and sit back and relax. The experts will deliver you your good within the prescribed time frame. Though, life is way easier when you are just a customer. The real challenge comes when you choose to become an online merchant. Choosing the right ecommerce platform for your business holds critical importance. 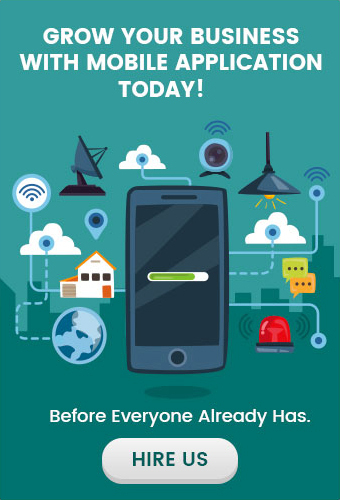 It ensures the long term success or failure of your businesses. 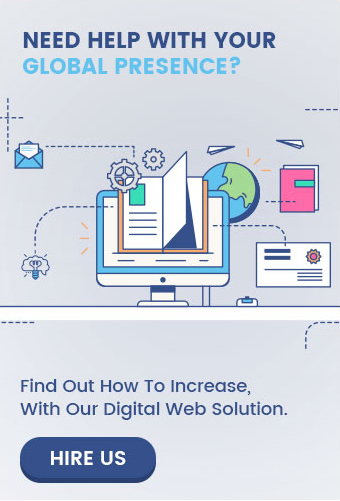 It’s particularly important for your small business to see through what limited resources and budget constraints you are working with and how much optimized you wish to see your website to be. When it comes to building an online store, two options that are well acclaimed are Shopify Plus and Magento 2. Henceforth, today we are going to compare the two and analyze which one fits best to your ecommerce platform needs. So without any further Ado, let’s delve in. Basic Online Store Functionality – Both, Shopify Plus and Magento 2 offers easy to use functionality options. They are powerful and robust and are updated on frequent basis. However, Magento 2 offers more versatility when it comes to operating your ecommerce platform as compared to Shopify Plus which limits the audience to perform specific functionalities only. Inventory Management – Shopify Plus have starter plan up to expert plan packages. However, the initial package limits you to 25 store items to tweak around with. On the other hand, Magento 2 offers the audience an unlimited number of items to choose from and build a thriving store online. It’s because Magento 2 has an incredible Inventory as compared to Shopify Plus and it is open for all consumers, rich and poor alike. Shipping Charge Calculations – Both applications offer potent options for calculating shipping charges of purchased products. Shipping charges are an important aspect when selling goods online as they represent the ecommerce storefront. Coupons & Discount Offerings – The starter package of Shopify Plus fails to offer online merchants the option to create and run discount codes and coupons for customers coming to the online store. While, in case of Magento 2, your online merchant has the freedom to create as many discount features as possible and send it on their website on whole purchasing or individual product purchases. Payment Gateway Concerns – Although there is a concern regarding payment gateways when it comes to payment processing. Shopify Plus offers more payment gateways as compared to Magento 2. Well, some believe that the community of Magento 2 is at a disadvantage here which is not entirely true. Magento 2 can integrate twice as many payment gateways as Magento 2 through third party add-on. It is not limited to the 70 as Shopify Plus is. Themes – Both, Shopify Plus and Magento 2 have a large repository of theme collection to make relevant choices from. But, when it comes to choosing a free theme for your online store, Shopify Plus lacks in numbers as compared to Magento 2. Shopify Plus holds a significantly less number of free themes and templates which specifies you and funnels you in to purchase specific themes based on your business niche. Apps & Add-ons – Once again, Magento 2 outcasts the show here! Shopify Plus is limited to a handful number of 100 themes and add-ons when it comes to adding more functionality to your online store. Whereas, the case is a whole lot different when it comes to Magento 2. It holds more than 5000+ applications and add-ons which are not only open source but are designed based on community recommendations. Multi-lingual Support – Full multi lingual options are not available on Shopify Plus directly. To create your online presence multilingual on Shopify Plus, you need to purchase a third party application or you can simply custom code your theme/template. In this case, Magento 2 is at an advantage! It has a built-in, multi-lingual support that works best in every case. Open Source – Both, Magento 2 and Shopify Plus offers advanced interfaces to edit raw HTML/CSS codes directly from the back-end. However, Magento is open source platform and all its code is at the expense of the developer. It gives them the capability to modify the code in any way they prefer to modify it. Unrestricted freedom, as in case of Shopify, requires a much sophisticated and expert developers as who have sound knowledge of HTML/CSS. Cost Incurred – With Shopify Plus, you have to purchase the starter package after your 14-day free trial period is complete. They further add transaction fees in percentile of the overall plan cost! Plus, you have to pay for separate themes and templates. Not to forget, you are also limited on options. On the other hand, Magento community offers an absolutely free solution. You will only have to pay for the hosting which starts as low as $5 which is handsomely reasonable. While both Shopify Plus and Magento 2 are competitive ecommerce hosting platforms, Magento offers versatility and advanced number of features as compared to Shopify. Shopify limits you in number of ways when it comes to building your online store based on specific niche. You have limited number of tools, templates and theme designs to work with. While, on the other hand, Magento 2 gives you a lot more to add and make your website works best in different number of ways.